Scoop ice cream into a serving bowl. 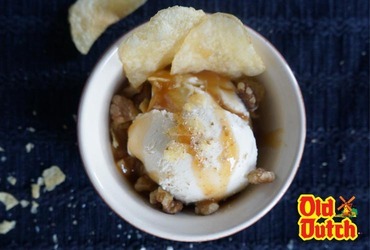 Top with crushed walnuts and Dutch Crunch chip pieces. Add a drizzle of caramel sauce and serve immediately.